April 17, 2019 - The First Squad reports the arrest of a Hempstead man for an incident that occurred on Friday, April 12, 2019 at 8:35 pm in Baldwin. According to detectives, the defendant Kenneth Matson, 52, was observed by CIRRT (Criminal Intelligence Rapid Response Team) officers sitting in a 2003 Dodge Durango, smoking from a glass pipe. Officers approached the vehicle and saw the defendant throw the glass pipe onto the passenger side floor board. The officers attempted to remove the defendant from the vehicle but he locked the doors and rolled up the windows. The defendant then started his vehicle and accelerated forward striking the officers vehicle. The defendant then put his vehicle in reverse and almost struck the officers as he fled the scene northbound on Grand Avenue. At approximately 8:48 pm a K9 officer located the vehicle parked at a dead end on Sumner Avenue in Merrick. The K9 officer with numerous first precinct officers approached the vehicle and defendant accelerated his vehicle towards the officers causing them to jump out of the way. The defendant struck multiple parked vehicles, trees, and two police vehicles while attempting to escape. The defendant fled the scene traveling southbound on Meadowbrook Road and was taken into custody on the northbound Meadowbrook Parkway near the Babylon Turnpike exit after a brief struggle. The defendant was transported to a local hospital for treatment of his injuries. Defendant Kenneth Matson is being charged with six (6) counts of Criminal Mischief 4th Degree, two (2) counts of Reckless Endangerment 1st Degree, Unlawful Fleeing of a Police Officer 3rd Degree, Criminal Possession of a Controlled Substance 7th Degree, Resisting Arrest, DWI Alcohol or drugs 2nd offense, multiple VTL violations. 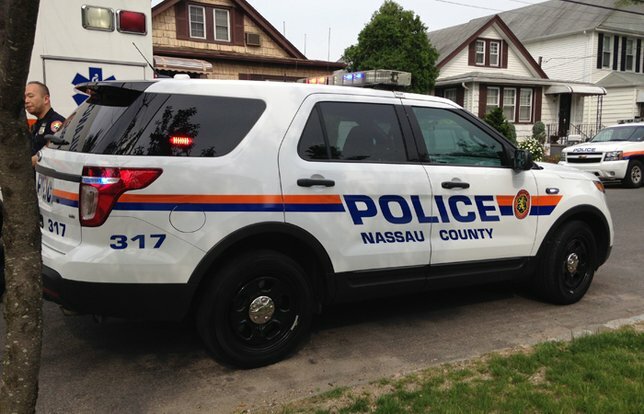 He will be arraigned on Saturday, April 13th, 2019 in First District Court, Hempstead. Subject: LongIsland.com - Your Name sent you Article details of "Driver Slammed into Trees, Parked Cars While Pursued by Police, Officials Say"